The Rooster is one of the 12-year cycle of animals which appear in the Chinese zodiac (and similar zodiacal systems) related to the Chinese calendar. 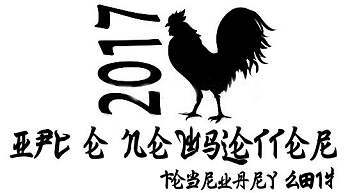 People born within these date ranges can be said to have been born in the "Year of the Rooster" January 28, 2017–February 15, 2018. Welcome to the February 2017 edition of the IPC e-newsletter. The IPC e newsletter is distributed free to more than 5000 people around the world. Having 6+ years of Experience in Automated Paint shop, Spray Pre-Treatment, Dip Pre Treatment,Hot water generator and LPG plant includes Erection, Commissioning and stabilization of processes. Hands on experience in the installation of Reciprocator type Electrostatic Powder coating booth. Hands on Experience in ISO 9001 and EMS 14001. Seeking a challenging and responsible position in the area of Paint Shop, Surface Finishing and Manufacturing which offers key participation, team oriented tasks, immediate challenges and career opportunity. Berger Paints, one of the largest Indian manufacturers of home and industrial paints, is en route to open its latest production facility in the country, one which will cater to the needs of the Northeast. The new facility, which has witnessed investments to the tune of Rs 100 crore, will be operational by March this year. OSAKA -- Nippon Paint Holdings plans to quadruple production capacity for automotive paint in India this year, adding a plant to complement a recent factory upgrade. The Osaka-based paint maker will spend a total of around 4 billion yen ($34.7 million) on the expansion, raising capacity in the South Asian nation to an annual 25,000 tons of auto paint. A new 11 million Euro powder coating plant was opened by AkzoNobel in Chengdu, China, the company's sixth facility producing powder coatings in the country, the Dutch company announced Jan. 17. LONDON, Jan. 4, 2017 /PRNewswire/ -- The global powder coatings market is expected to reach USD 16.55 billion by 2024, according to a new report by Grand View Research, Inc. Increasing demand owing to high variation in texture, color & coating thicknesses along with their enhanced durability will augment market growth over the next eight years. The French government has ordered a review of the safety of titanium dioxide as a food additive after a scientific study released on Friday found health effects in animals that consumed the substance. We powder coat steel tubing for broom handles and paint about 1,000,000 tubes per month. We have been experiencing some contamination between color changes. We think this might have to do with our gun hoses. How often should we be replacing the hoses that go from the pump to the gun? Excellent question. That's a lot of broom handles. How many are for floor maintenance and how many for transport on Halloween? My thoughts on your hose situation are thus: hoses are a relatively small investment and contaminated products and line stoppages can be costly and a pain in the neck. I would consider having separate sets of hoses for each color. You didn't mention how many colors you run, but if you have a large number you can consider using the same hose set for colors that are close in hue. For instance, a set for red colors, another for blacks and dark grays, etc. Hose can be purchased in bulk and the ease of color changes is enhanced with hoses dedicated to each color. If your purchasing manager balks at the added small cost of more hose please show her this message. Our current product, which is an aluminum sand casting, is powder coated to many of our customers' color choices. We find that we have many more problems with outgassing or bubbling on colors we consider as higher gloss than other colors. This may just be a coincidence but we were wondering if the gloss levels can affect the susceptibility to outgassing because of a faster or slower set or something else we are unaware of. This is an interesting observation. This situation requires one toslip on their 'correlation vs. causation' helmet and sort through the facts. It sounds like you have established the correlation factor here. Nice work. Root cause analysis is a mightier task, but I will provide some insight to help you in understanding the outgassing phenomenon and how it related to powder coatings. Fundamentally, as you know, the porosity in castings causes the expulsion of entrapped gas at elevated temperatures. Powder coatings typically require 10 to 20 minutes at 350 to 400 degree F to cure. These baking conditions will cause pores to expel gas. If the gas is emitted during a critical stage in the powder coating crosslinking reaction the escaping gas creates an ugly crater-like defect. We powder formulators have developed formulation schemes that can alleviate the formation of these kinds of defects. We basically incorporate an additive that allows the gas to pass through the film then reflow into the void created by the expulsion. Some powder suppliers call these products off-gassing resistant (OGR) or out-gassing friendly (OGF). I'm sure other monikers exist. These products work pretty well however this formulating trick is not available in every product, hence the probable disparity in performance you are observing. A solution to this problem could lie in a process alteration. Preheating the casting before powder coating usually eliminates the defects caused by the outgassing of castings. Perhaps you could segregate the special, high gloss powder coating runs and preheat the parts prior to applying the powder. Alternately you could bug your powder coating supplier to modify the high gloss products with their secret sauce. This, I'm sure, with come with a premium and possible a time delay to get the formula modification through the lab. Oberboihingen, November 2016 Although it is only been seven months since PaintExpo 2016 closed with record breaking results, promoters FairFair GmbH are already able to report lively demand for exhibition floor space at the upcoming, leading international trade fair for industrial coating technology: at the beginning of November 2016, 170 companies had already made firm bookings for their booth locations at PaintExpo from the 17th through the 20th of April, 2018. With roughly 75,000 square feet, net exhibition floor space already amounts to more than 50% of the level reached at the last event. And thus for PaintExpo 2018, booth floor space offerings will be significantly increased. PaintExpo 2016 received top scores and set new standards with regard to exhibitor and visitor numbers, as well as internationalism. With 10,522 visitors from 74 countries, the leading international trade fair for industrial coating technology observed an increase of 14.8%. And it's no wonder, because with its comprehensive overview of the industrial coating technologies market, PaintExpo is meanwhile the number one information and procurement platform for users from all over the world. 'PaintExpo is theglobal showcase of the painting industry, which makes it an absolute must for us. It's the most effective way to present our product range and new developments to international expert visitors, and we'll exhibit again in 2018 as a result', explains Andrea Ortelli, export manager for Italian paint manufacturer Arsonsisi. And the fact that he's not alone with this assessment is already demonstrated by the star studded exhibitor list 17 months before PaintExpo 2018 opens its doors. Roughly 170 companies from 15 countries have already made firm bookings and secured ideal boothlocations. They include nearly all of the national and international heavyweights from the various exhibition segments. PaintExpo 2018 with Additional Exhibition Hall With roughly 75,000 square feet, net exhibition floor space already amounts to more than 50% of the level reached at the last event. This extremely strong, early demand for booth floor space illustrates the importance of PaintExpo amongst the suppliers of products and services from the field of industrial coating technology. 'We're of course very pleased that the companies are deciding to book so early, and it provides us with the opportunity of clearing the path for further growth. That's why we've increased exhibition floor space offerings to include an additional hall. This is being very well received by the exhibitors so that we've been able to distribute visitor magnets uniformly throughout all of the halls' reports Jurgen Haufmann, managing director of FairFair GmbH. Worldwide demand for optimised painting and coating solutions speaks infavour of strong further development of PaintExpo where visitor numbers areconcerned as well. 'Regardless of where products need to be painted, usersfrom the various regions around the world are generally placing ever higherdemands on finished goods. In addition to optimised quality andproductivity, this also involves more efficient use of materials andresources, as well as sustainability. Beyond this, ever smaller lot sizesand increasing individualisation necessitate more flexible solutions in thefield of coating technology. New challenges for coating job-shops and companies with in-house painting operations are also resulting from the use of new materials, for example fibrous composite materials for lightweight parts, as well as the use of various materials within a single finished product. 'Thanks to an exhibition programme which is focused exclusively on liquid painting, powder coating and coil coating, as well as market-driven, representative and future-oriented exhibitor offerings, PaintExpo 2018 will be a point of departure for the visitors in their search for suitable solutions based on products and processes', states Jurgen Haufmann with confidence. The exhibition programme covers liquid painting, powder coating and coil coating systems, application systems and spray guns, liquid paints and powdered enamels, automation and conveyor technology, cleaning and pre-treatment, drying and curing, environmental technology, pneumatics, compressed air supply and exhaust purification, water treatment, recycling and disposal, accessories, measuring and test technology, quality assurance, paint stripping, job-shop coating, services and technical literature. Beyond this, downstream process steps such as printing and packaging are covered as well.